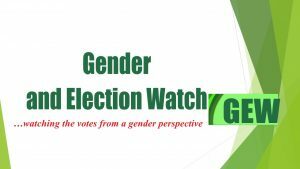 Gender and Election Watch (GEW) GEW Update: Pre-Election Statement on the 2019 Presidential and National Assembly Elections .:NWTF:. The Gender and Election Watch (GEW) is an initiative of the Nigerian Women Trust Fund (NWTF). The GEW is aimed at observing and analyzing the participation of women compared to men in elections through electoral assessment and election observation from a gender perspective. GEW is also a response to inadequate women focused election observation report and analysis for the female gender and an assessment of how all elements of an election process affect women in general and their access to the benefits of governance. Similarly, GEW is intended to serve as a research spectrum for other program interventions by providing a comprehensive focus on how women engage with the electoral process as electorates on election days. Some Nigerians were sighted at various INEC offices with hopes of getting their permanent voter cards. There is no heavy security presence except at the regular checkpoints. There is a high level of enthusiasm to vote shown by Nigerians. That the Independent National Electoral Commission (INEC) should sustain its level of preparedness in terms of deployment and election operations to ensure early opening of polls. That INEC should review and improve on the process of distribution and collection of PVCs in subsequent elections. That INEC should ensure the implementation of its guidelines on priority voting in order to guarantee participation of women and special needs group. That the security agents should continue to ensure that the atmosphere is calm to encourage the participation of women, youths and persons with disabilities. That the security agents should ensure safety of election materials. 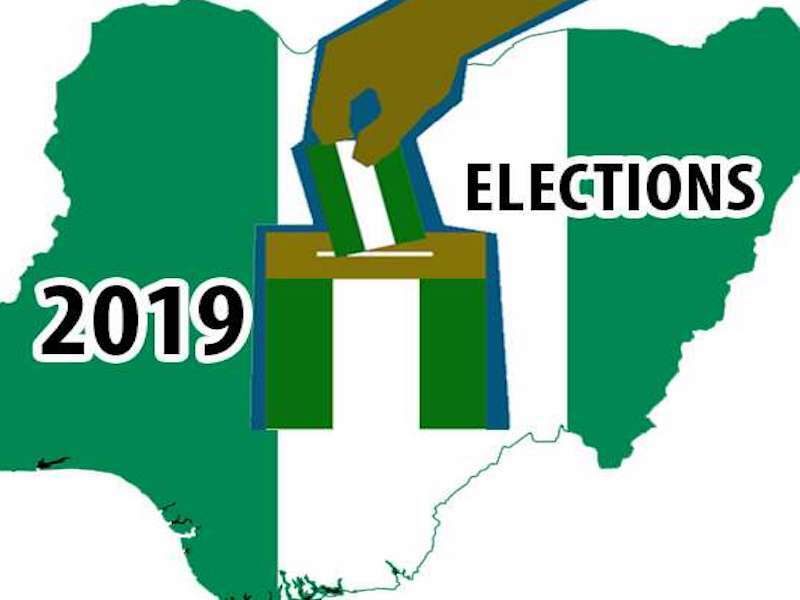 Nigerians are encouraged to go out en-masse to cast their votes on 16 February 2019.
of the Nigerian Women Trust Fund (NWTF).